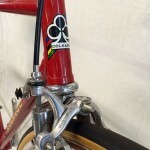 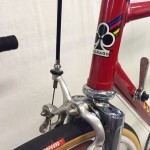 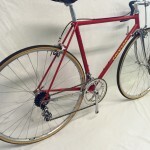 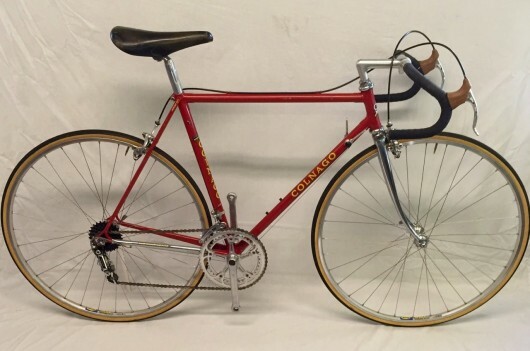 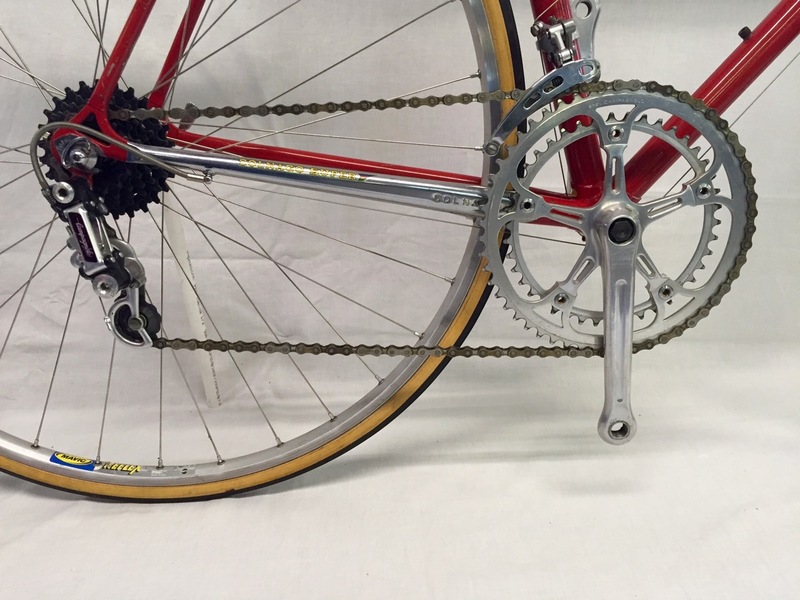 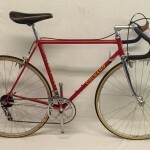 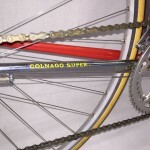 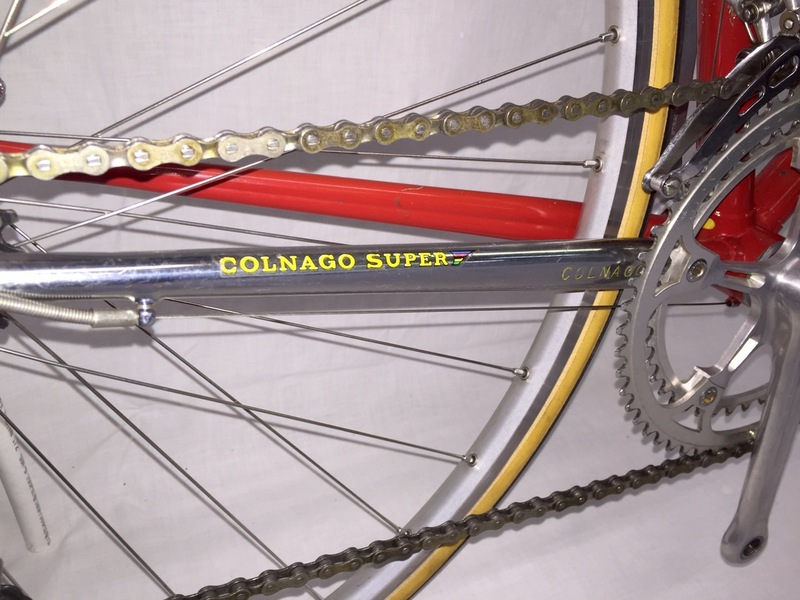 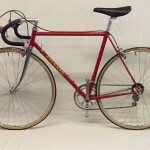 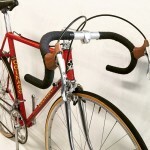 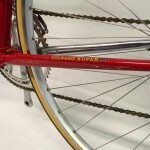 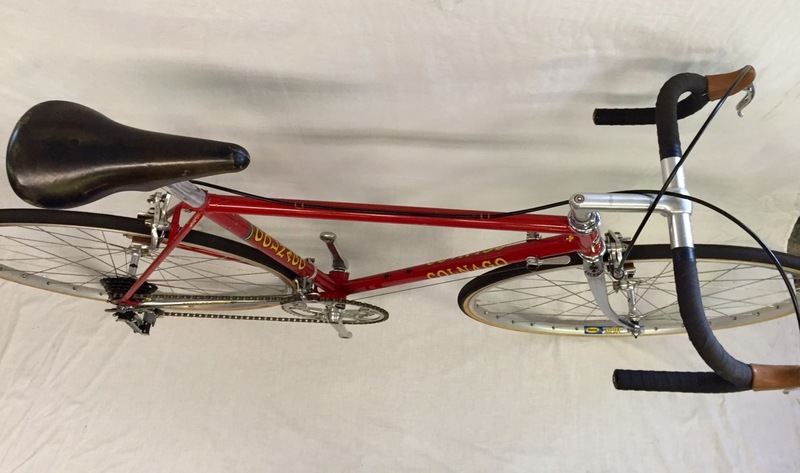 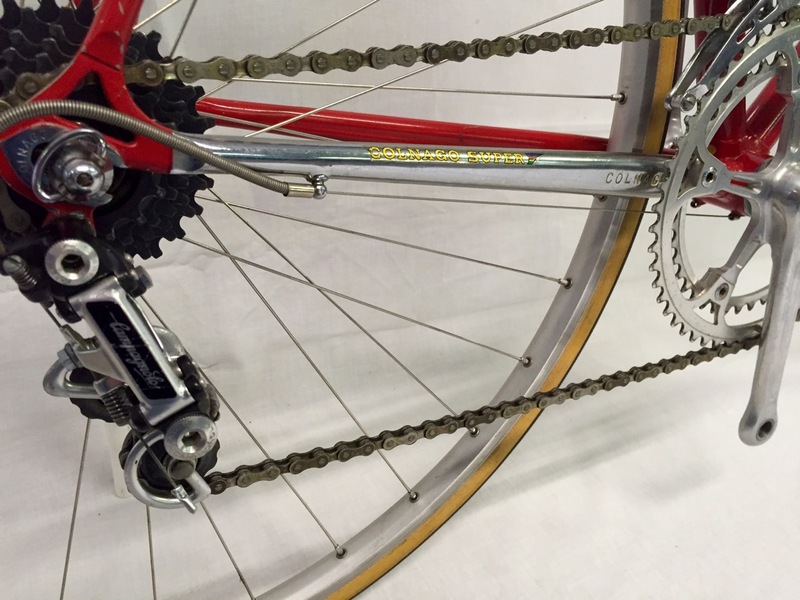 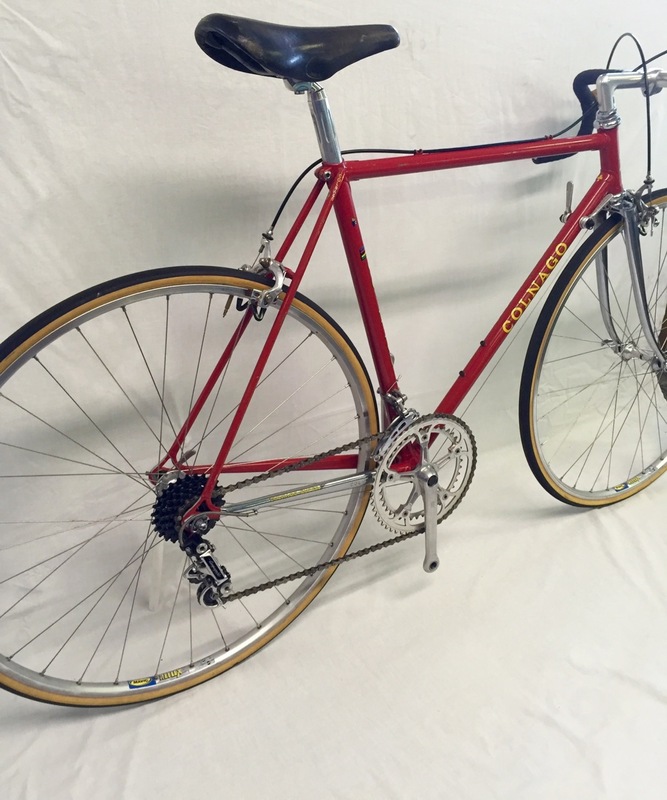 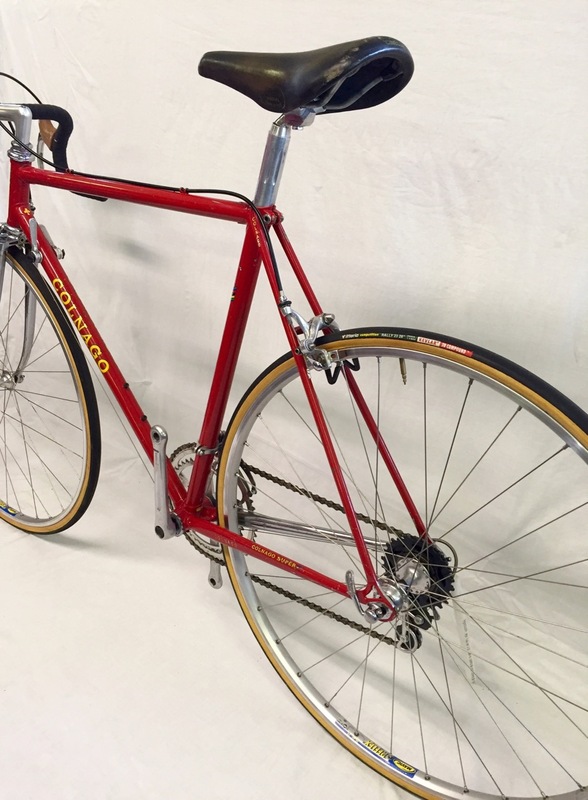 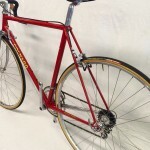 Found here on eBay is an extremely original 1981 Colnago Super. 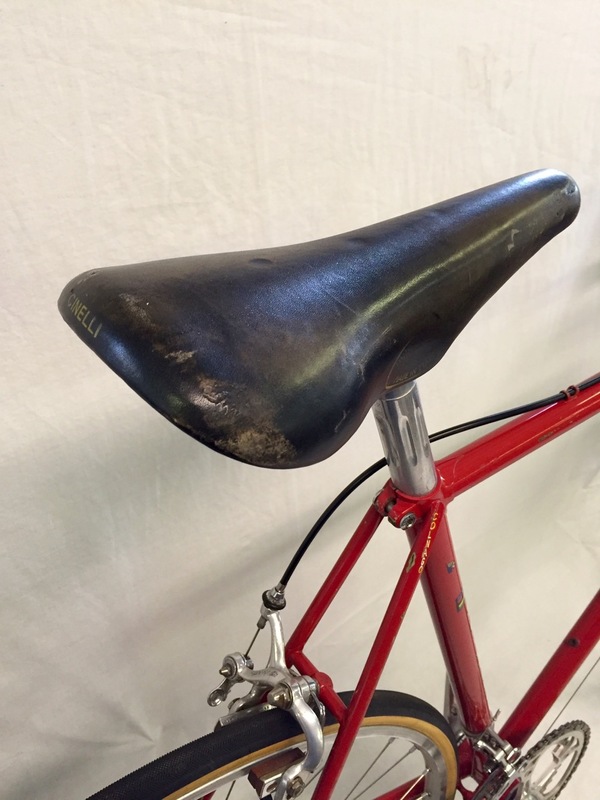 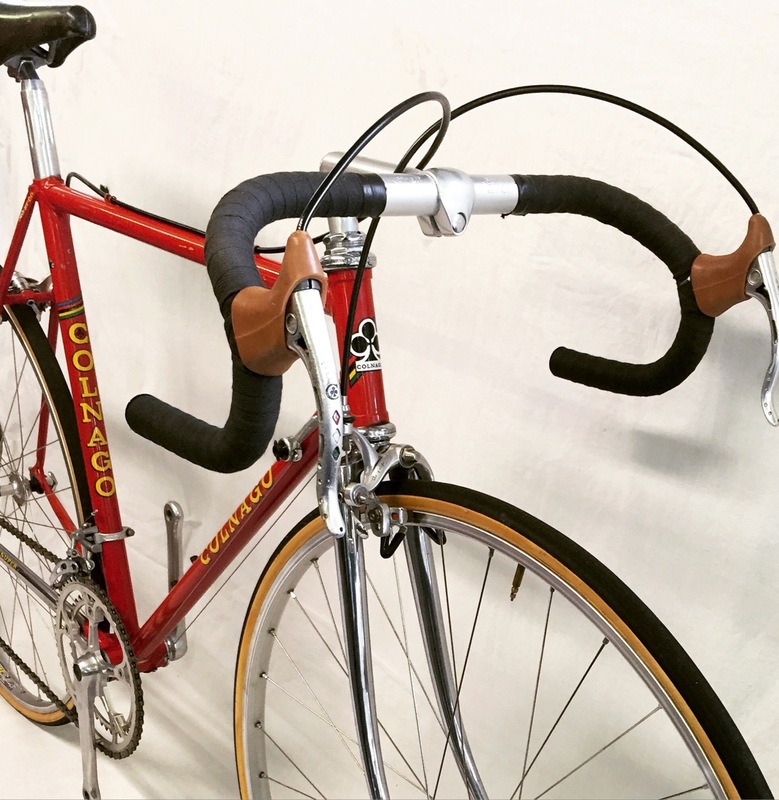 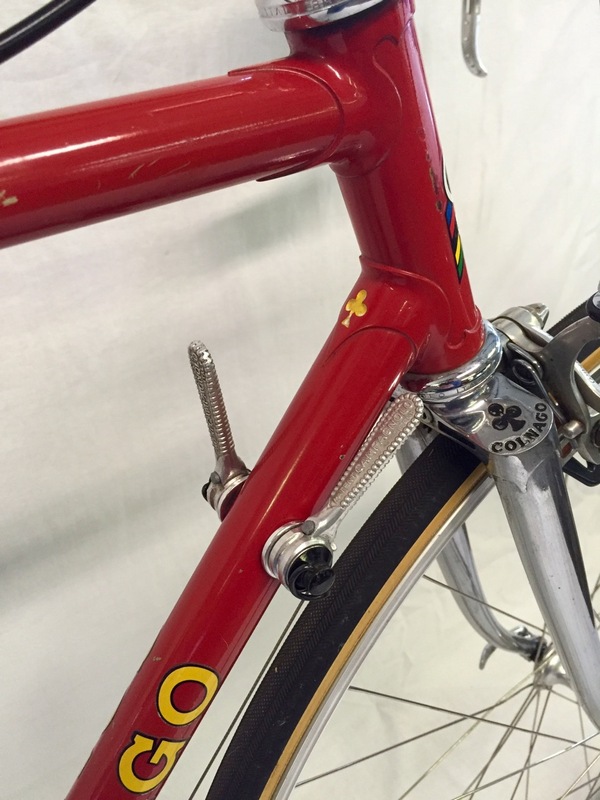 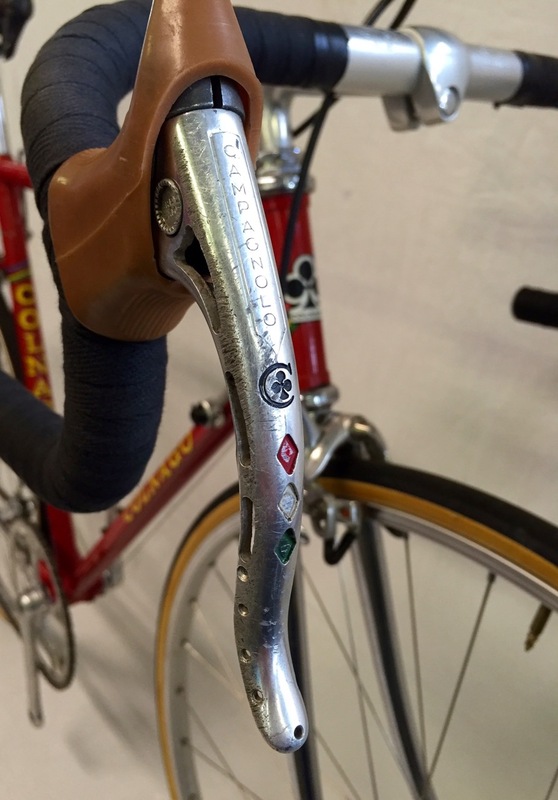 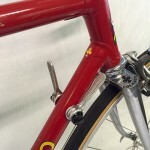 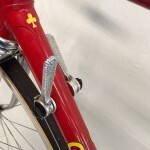 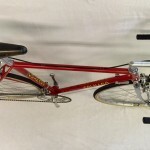 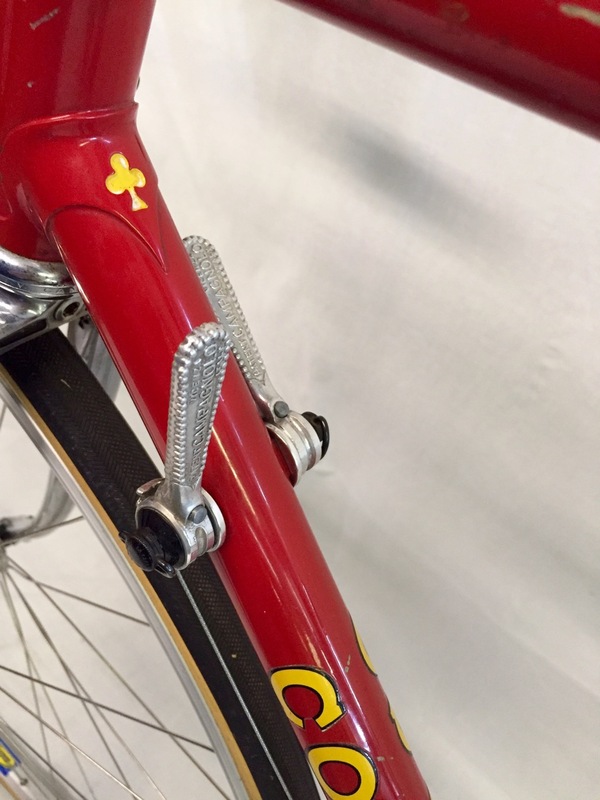 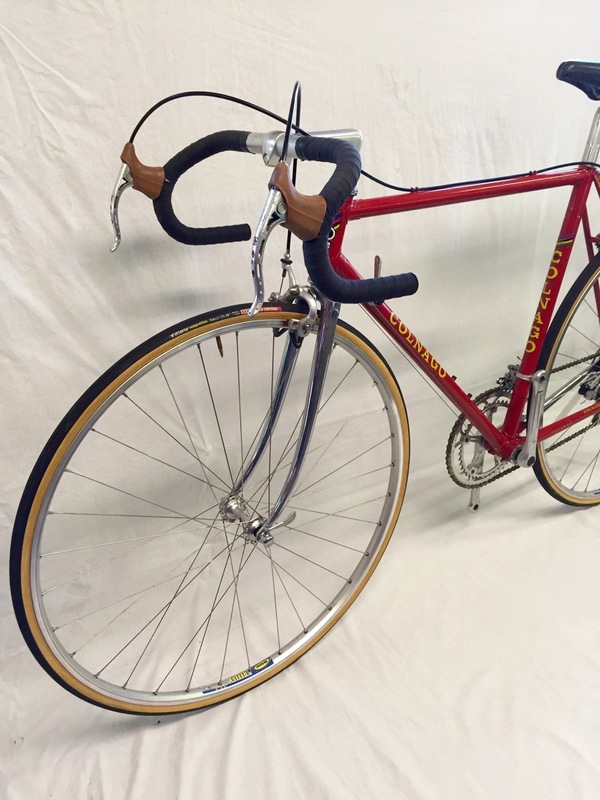 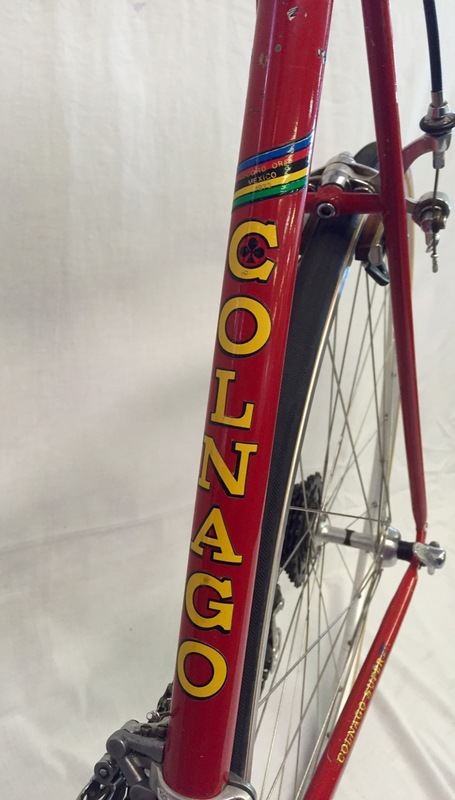 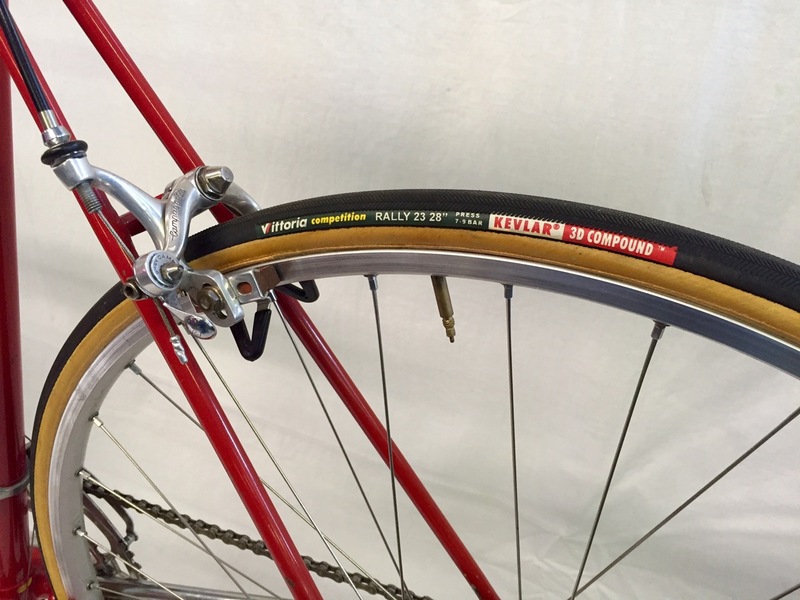 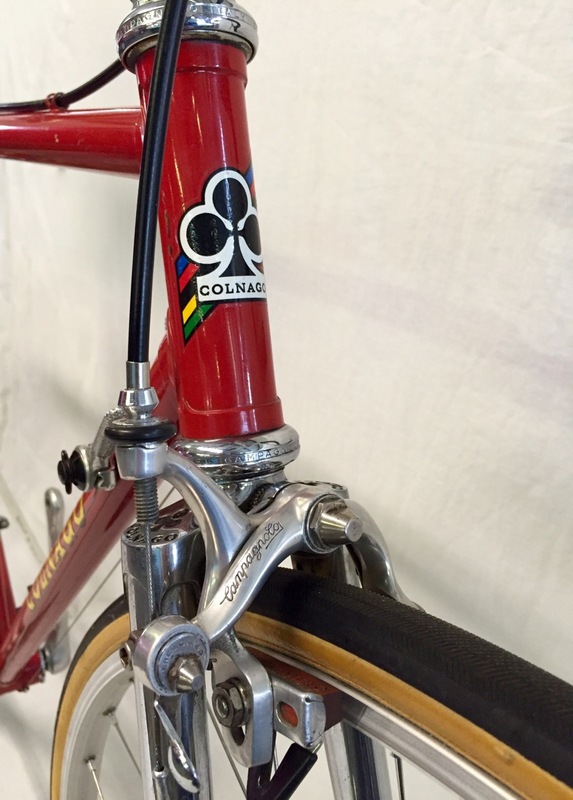 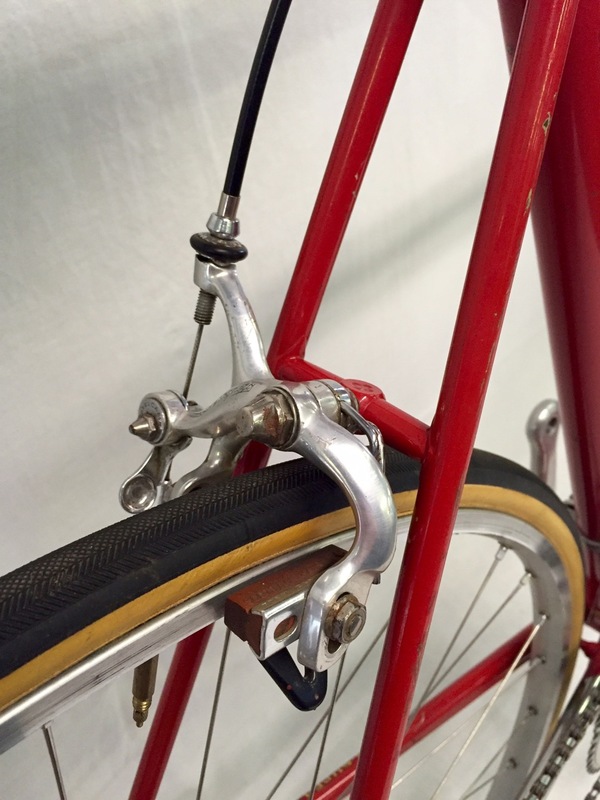 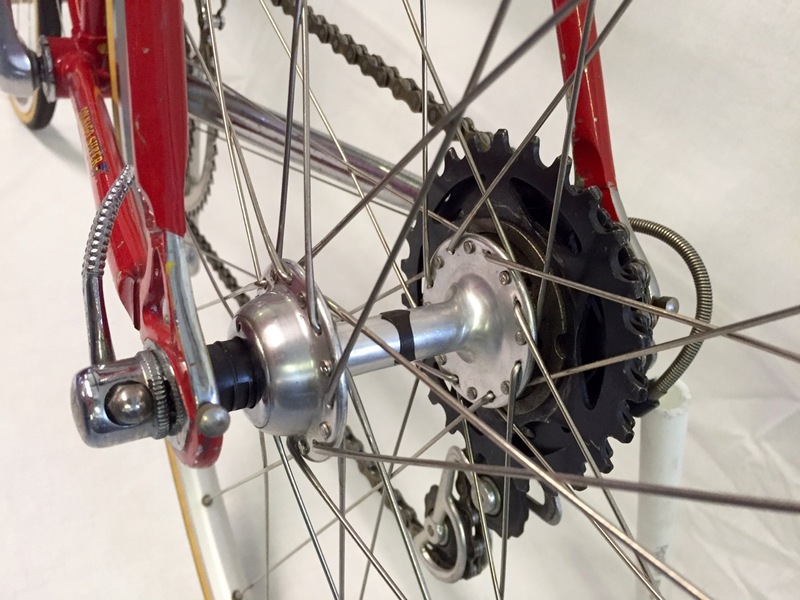 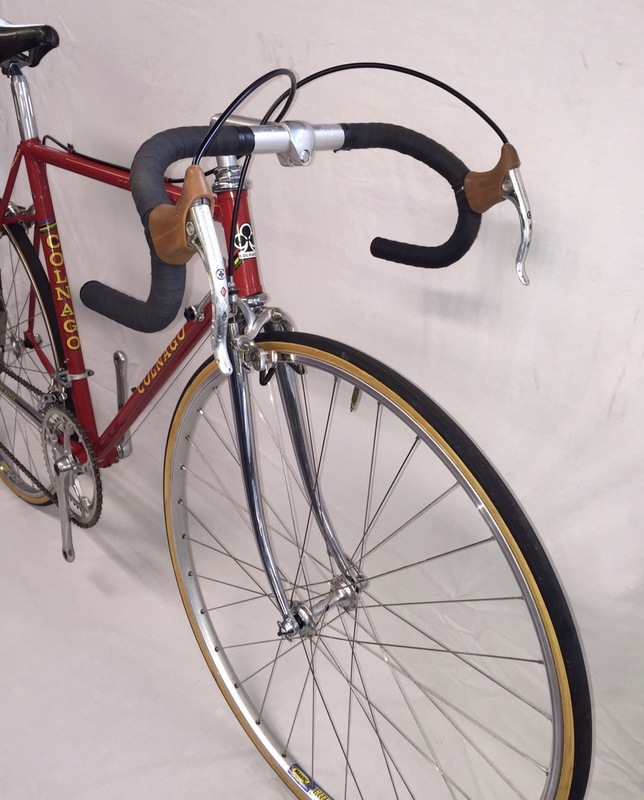 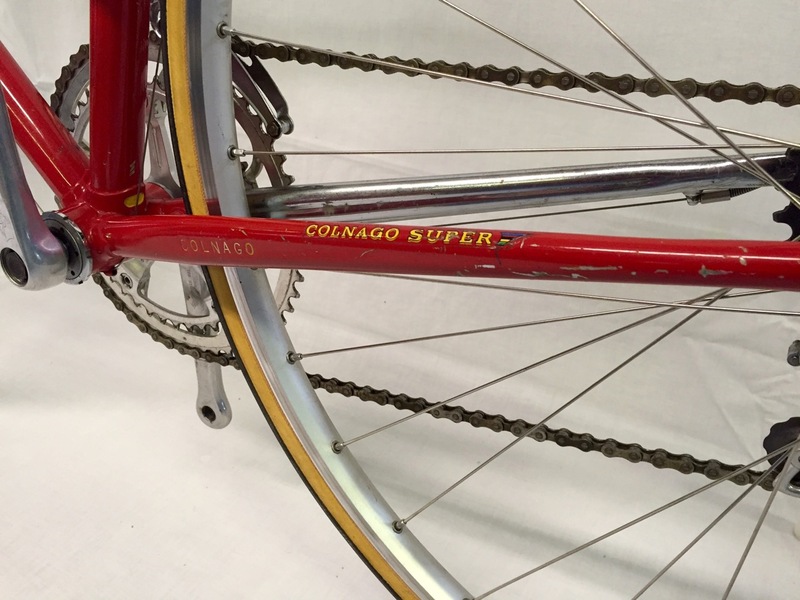 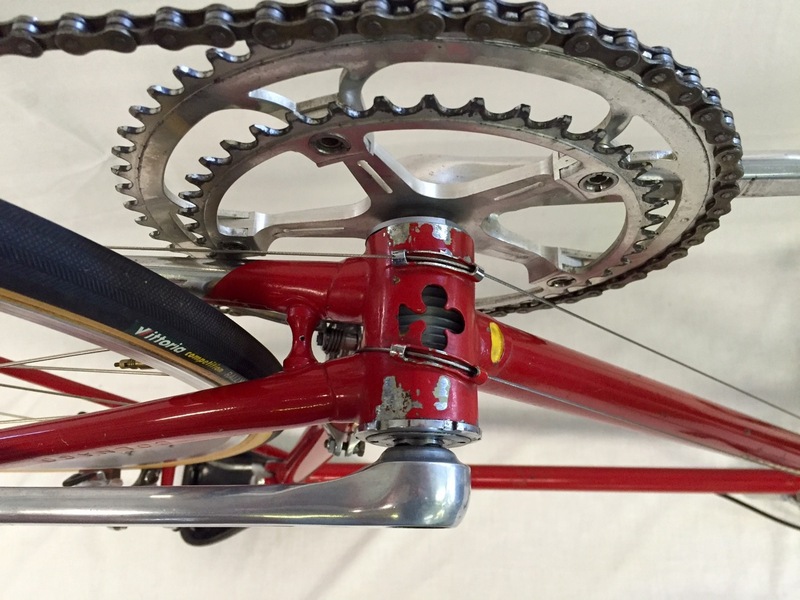 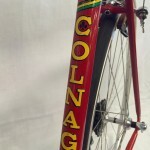 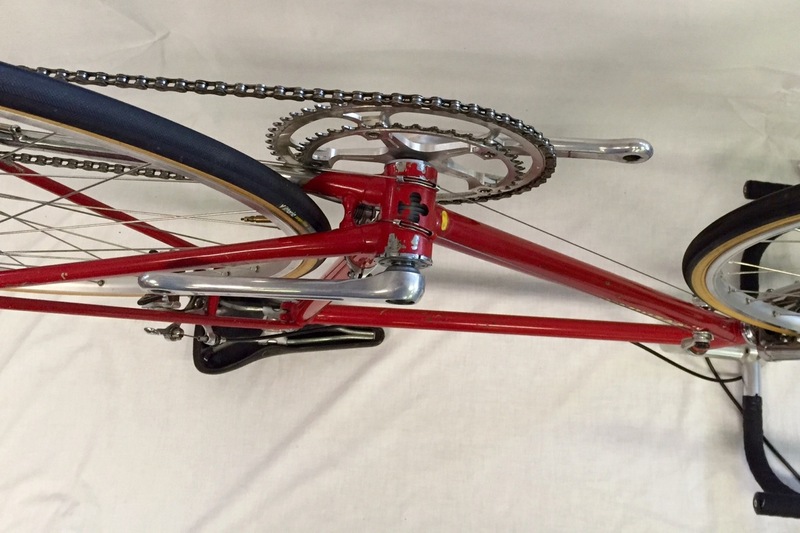 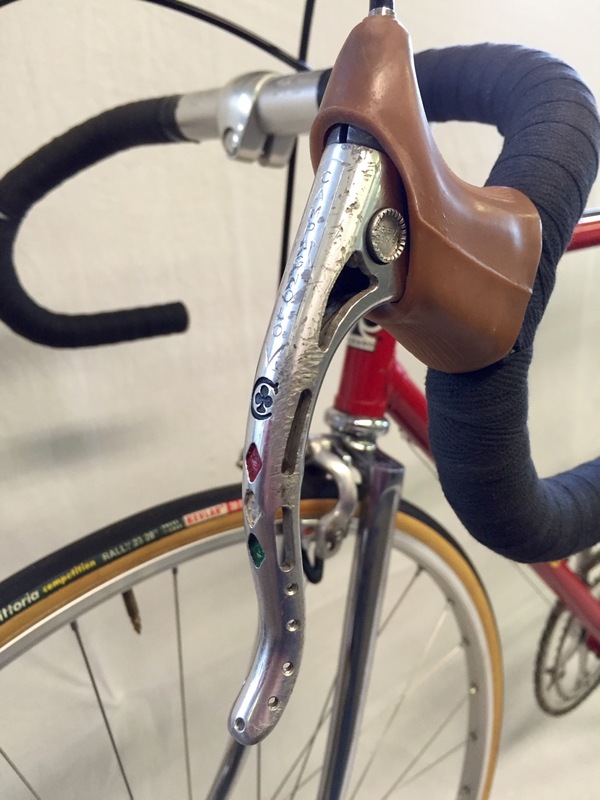 Adorned in a beautiful deep Italian red, this Columbus SL frame still retains its original paint and decals. 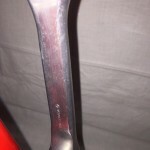 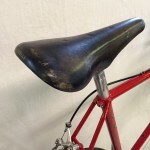 A nice patina is present but there is no rust anywhere on the frame or fork. 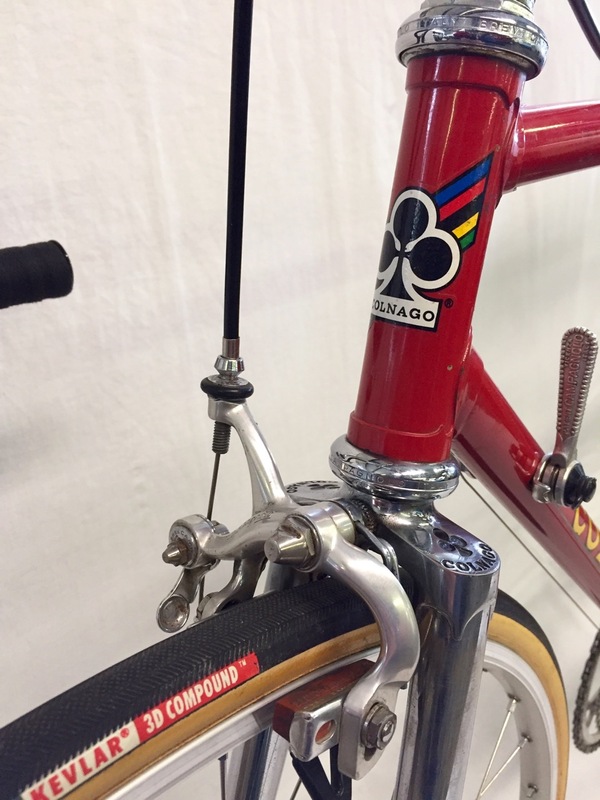 This Colnago features a Campagnolo Super Record groupo complete with rare Colnago pantographed Super Record brake levers. 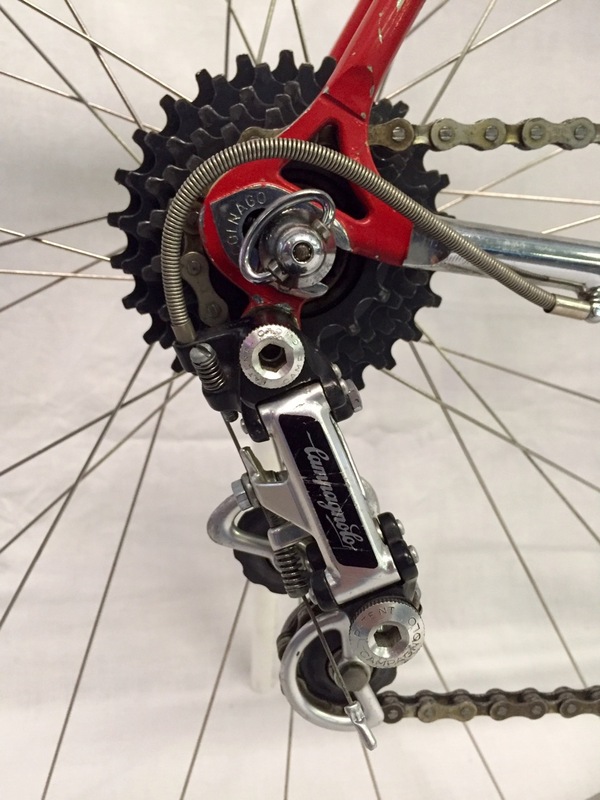 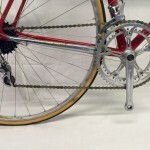 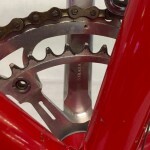 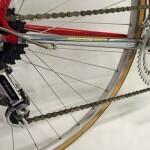 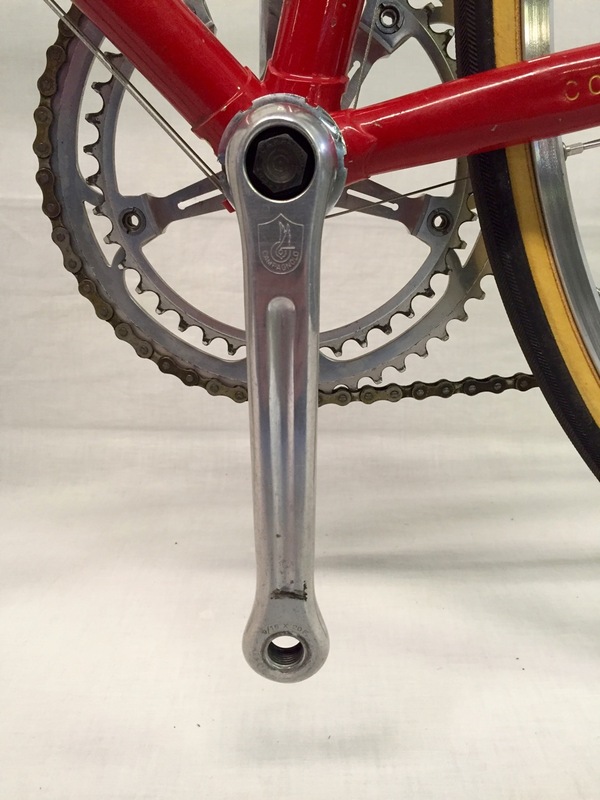 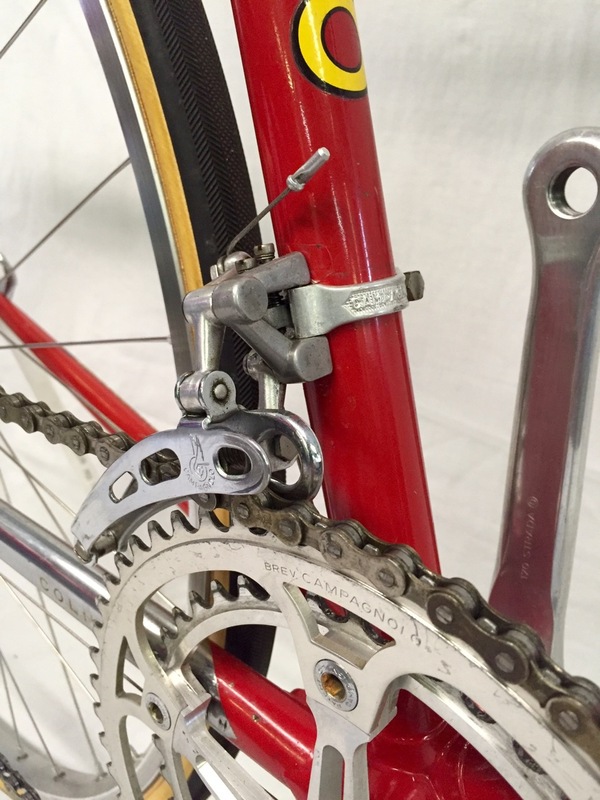 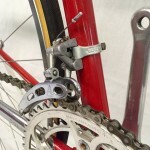 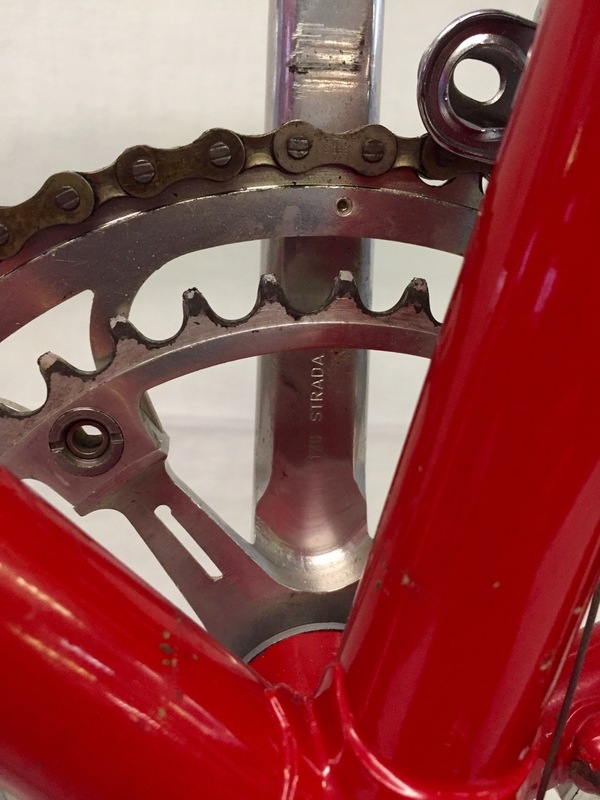 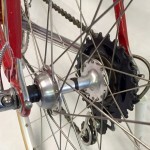 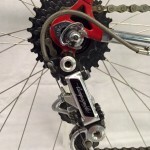 The front derailleur is the only non Super Record part on the bike being an earlier Nuovo Record piece. 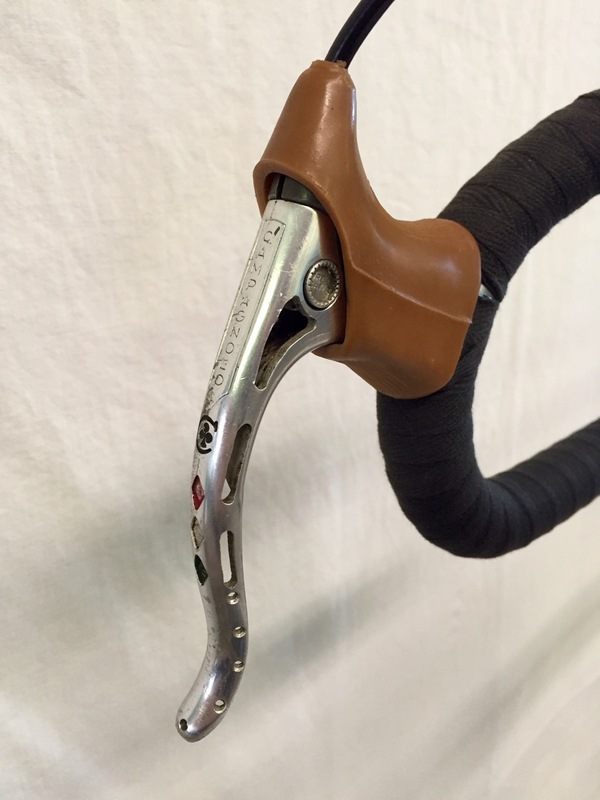 The groupo is in great shape and works flawlessly. 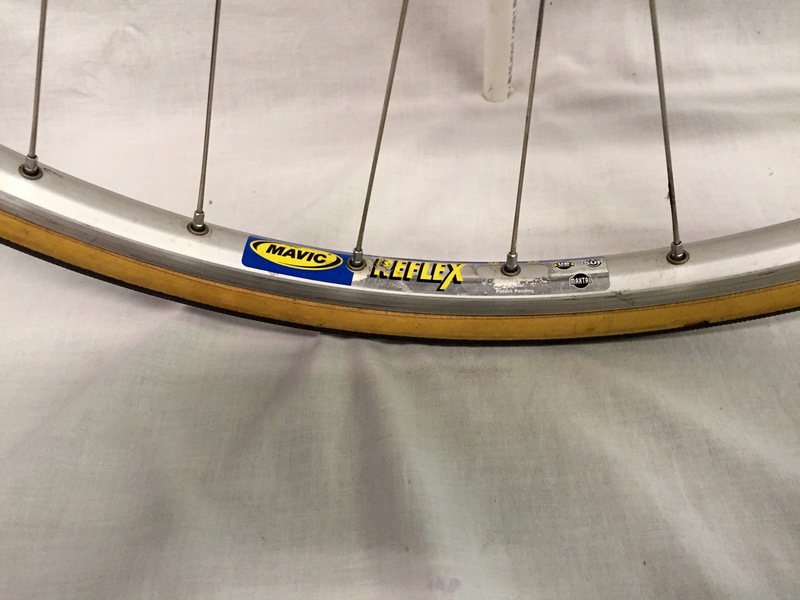 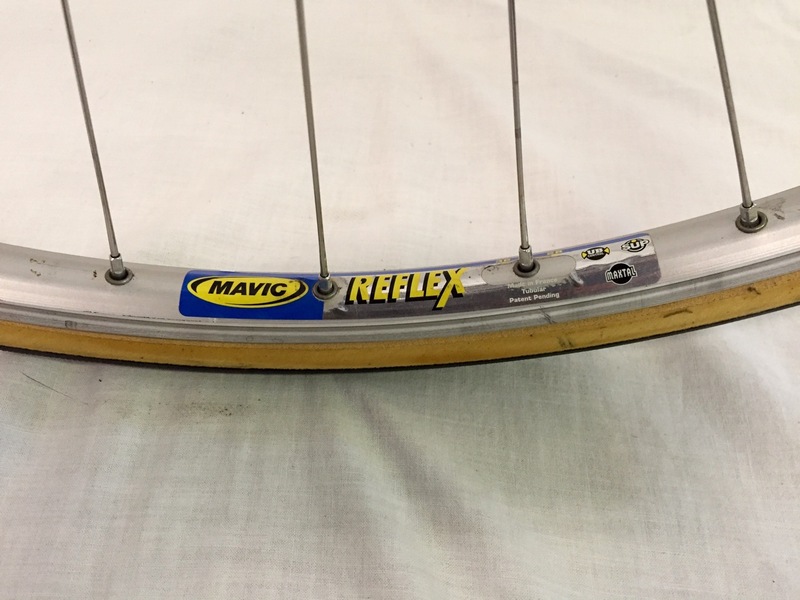 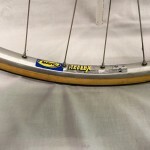 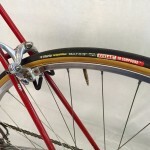 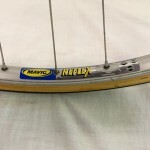 Thirty-two hole Mavic Reflex tubular rims are built with DT Swiss spokes on Record hubs. 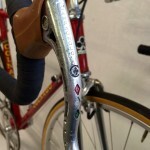 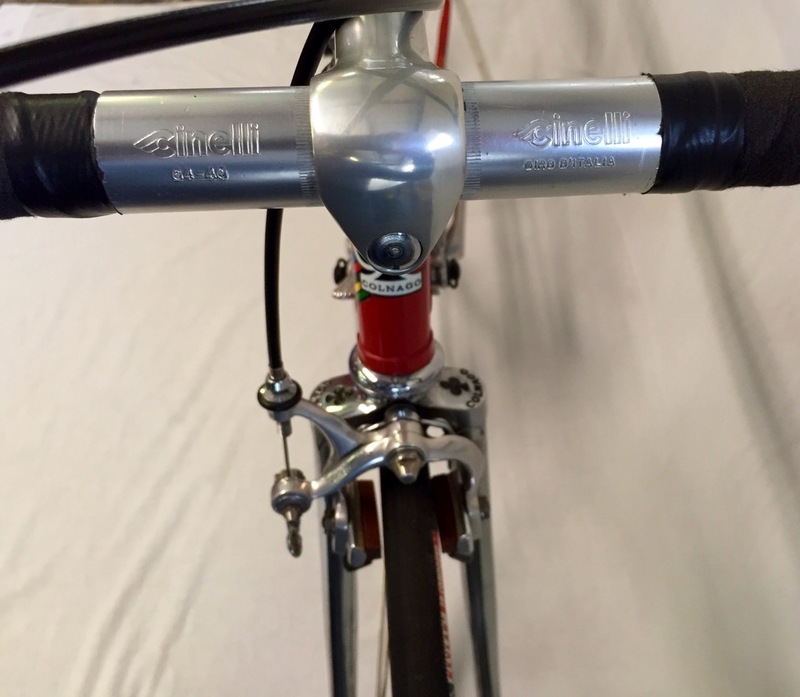 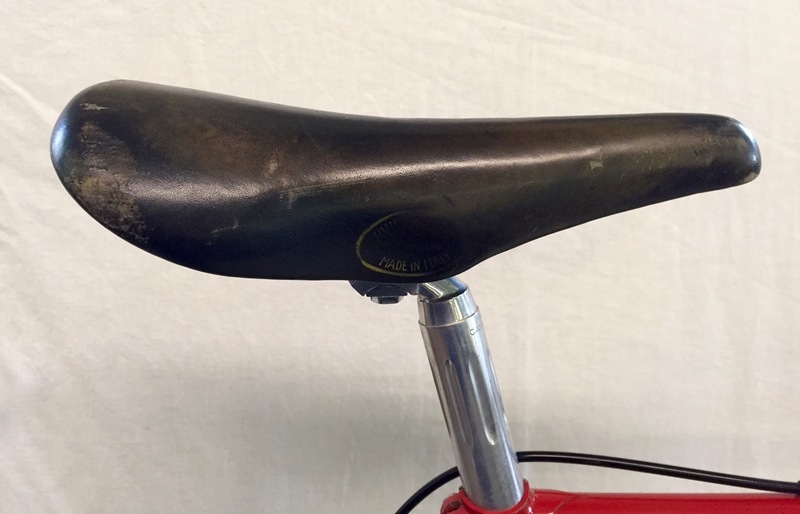 The Cinelli Unicanitor saddle shows some wear in the lettering but is otherwise in good condition. 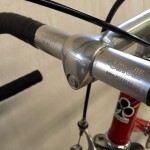 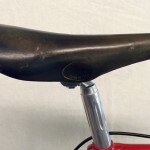 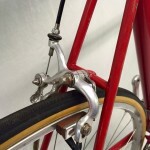 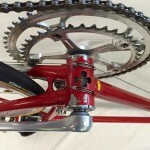 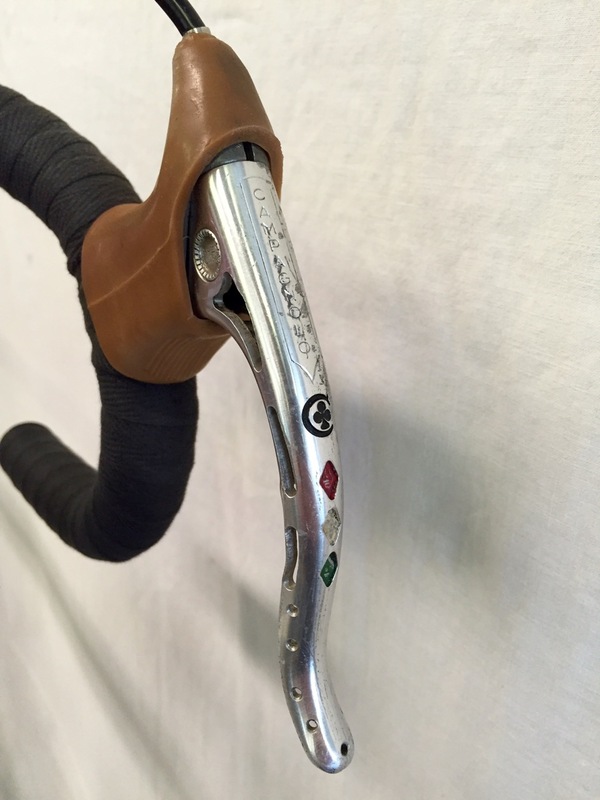 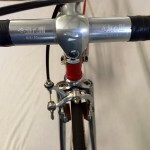 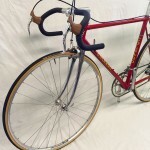 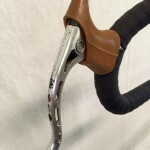 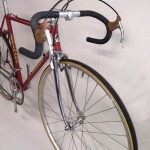 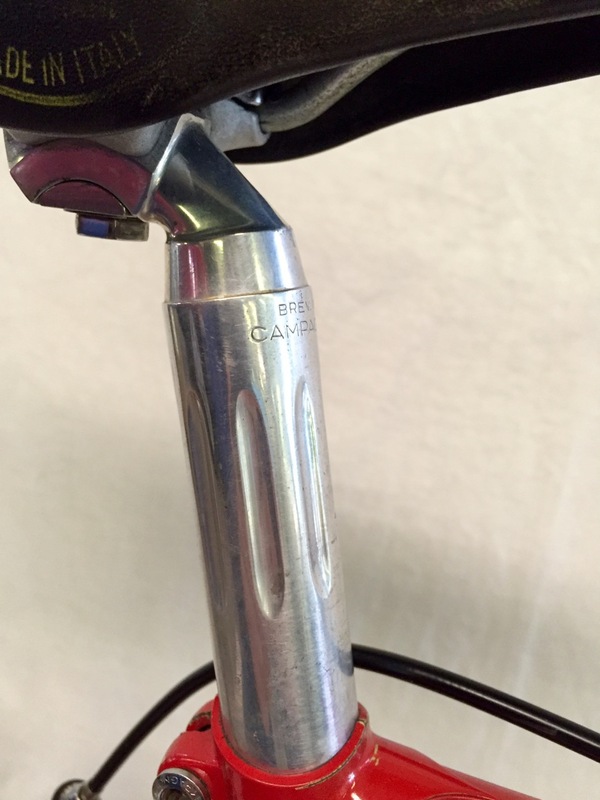 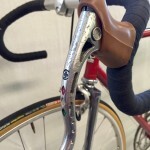 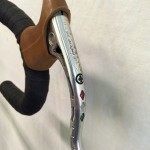 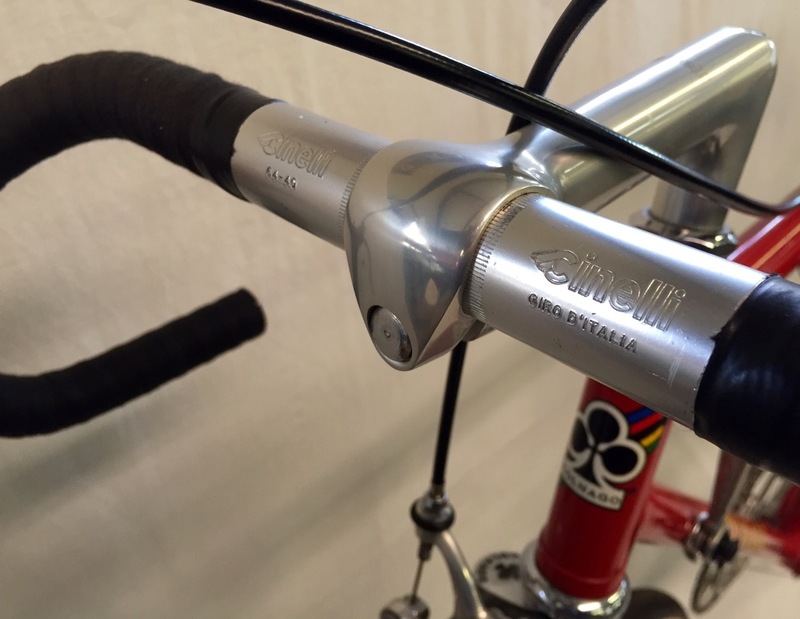 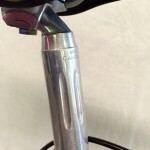 It is mounted to a period correct Super Record seat post. 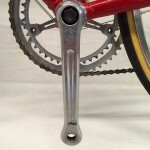 Complete dimensions are below. 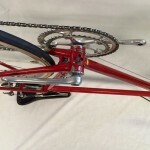 Feel free to email with questions. 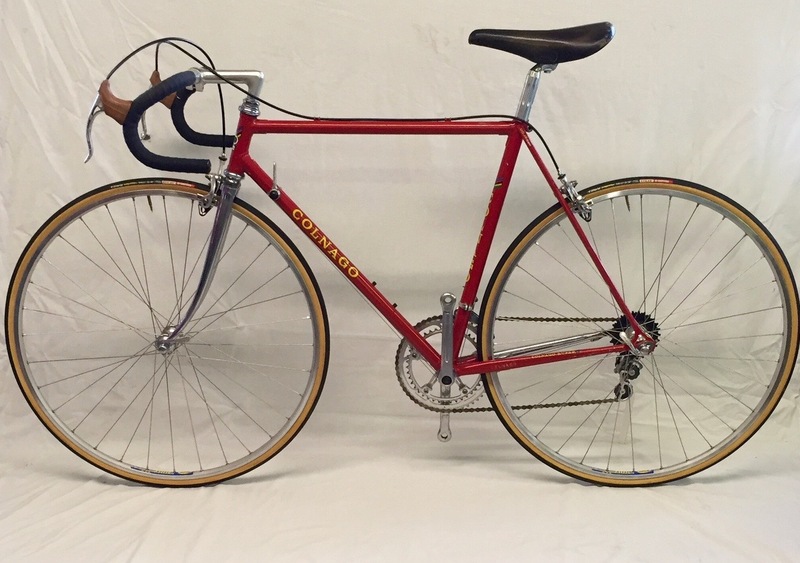 The bicycle is in Athens, GA. 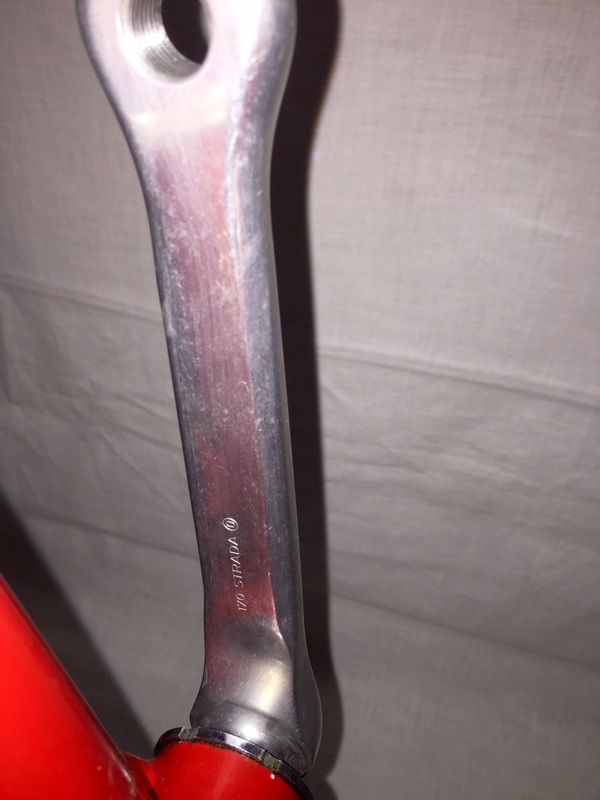 Thank you for bidding.